Performers include: Elyes Gabel, Katharine McPhee, Robert Patrick, Eddie Kaye Thomas, Jadyn Wong, and Ari Stidham. This dramatic TV show is based on the life of Walter O’Brien. O’Brien (played by Elyes Gabel) is a self-proclaimed computer expert and an eccentric genius. He and his team of brilliant misfits — the Scorpion team — comprise the last line of defense against complex, high-tech threats of the modern age — Homeland Security’s new think tank. Toby Curtis (Eddie Kaye Thomas) is an expert behaviorist who can read anyone. Happy Quinn (Jadyn Wong) is a mechanical prodigy while Sylvester Dodd (Ari Stidham) is a statistics guru. Pooling their extensive technological knowledge to solve mind-boggling predicaments amazes federal agent Cabe Gallo (Robert Patrick) — a man who shares a harrowing history with O’Brien. While this socially awkward group is comfortable with each other’s humor and quirks, life outside their circle confounds them. As a result, they rely on Paige Dineen (Katharine Hope McPhee) — who has a young, gifted son — to translate the world for them. These nerdy masterminds have found the perfect job: a place where they can apply their exceptional brainpower to solve the nation’s crises. They also help each other learn how to fit in. 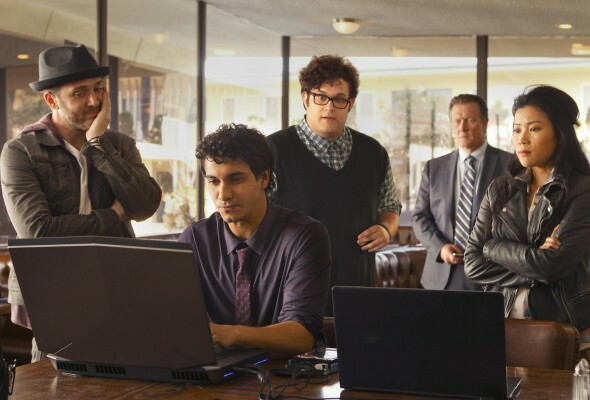 Team Scorpion heads to Northeast Africa where they must carefully navigate a minefield in order to save the lives of local villagers. Also, Paige and Walter’s relationship takes a shocking turn, and Toby and Happy make an important decision. First aired: April 16, 2018. What do you think? Do you like the Scorpion TV show? Do you think it should have been cancelled or renewed for a fifth season? Scorpion: Is Katharine McPhee Leaving the CBS Series? Loved every minute of the show, please please give us more!!!!! I am so disappointed in the abrupt cancellation of “Scorpion”. You left us wondering what would happen after the split. I want to know what happens to Walter and Paige. I think is was one of the best shows on television. I was waiting to see when the next season would begin. Darn!!! There’s another petition to sign. You could get all your friends and families to join in. I’m sure The CW, Netflix, Amazon, Hulu or YouTube Premium can revive it.